All of my newer PCs are subject to this vulnerability. Sigh. Another Intel ME Security Flaw Discovered: What to Do? 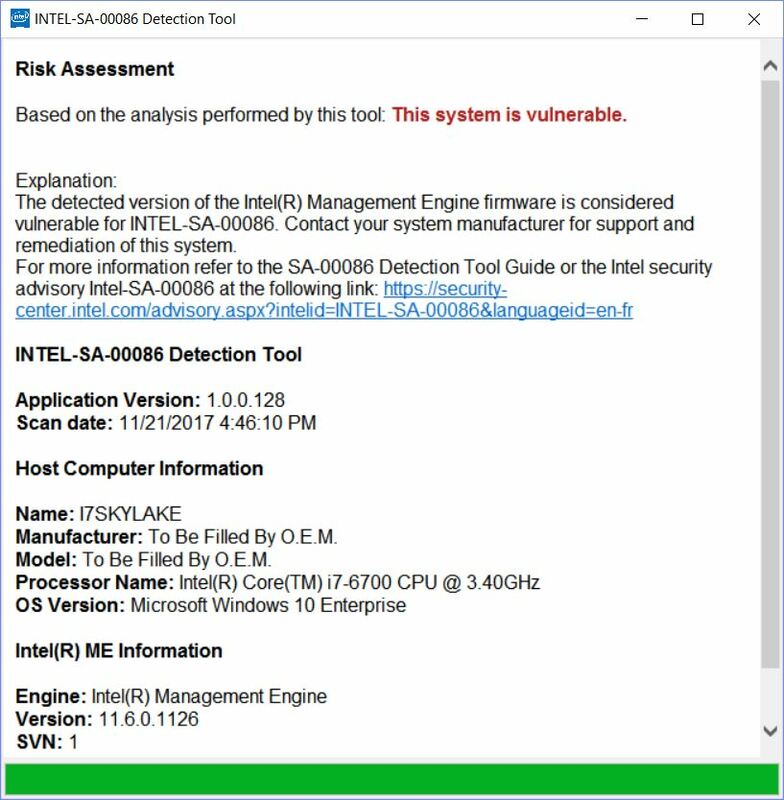 If you like, you can download a detection tool from Intel to check your systems. Simply navigate into the DiscoveryTool.GUI folder. There, run the executable named Intel-SA-00064-GUI.exe. When run, the tool produces output like that shown in the preceding screen capture. If you’re affected, you’ll need a BIOS fix from your system or motherboard maker to plug the security hole. According to posts on TenForums.com (where this vulnerability came to my attention), some motherboard vendors have already posted patched BIOSes. Alas, neither of my newish Asrock-based motherboards has a fix available yet. Hopefully, that will be addressed sooner, not later or never… In the meantime, grab and run this tool for yourself to see if you should be on the lookout for patches, too.